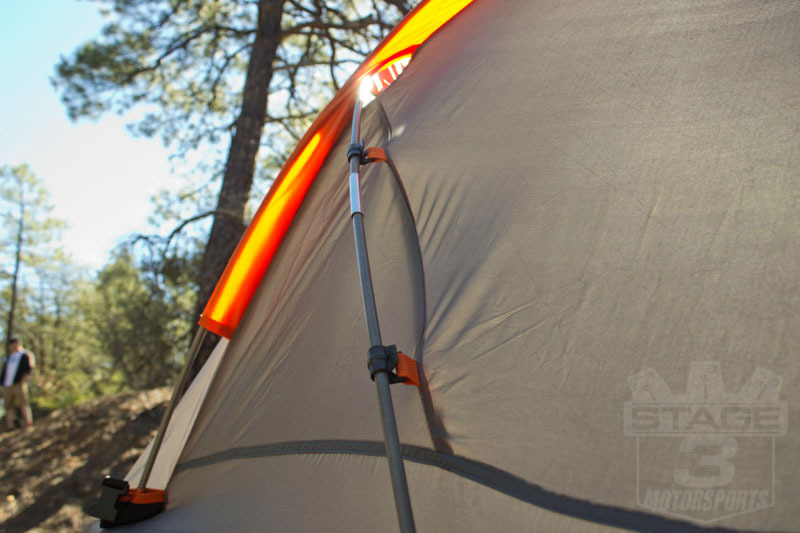 If camping outdoors is anything, it's certainly not clean or overly comfortable, even with the best of gear. 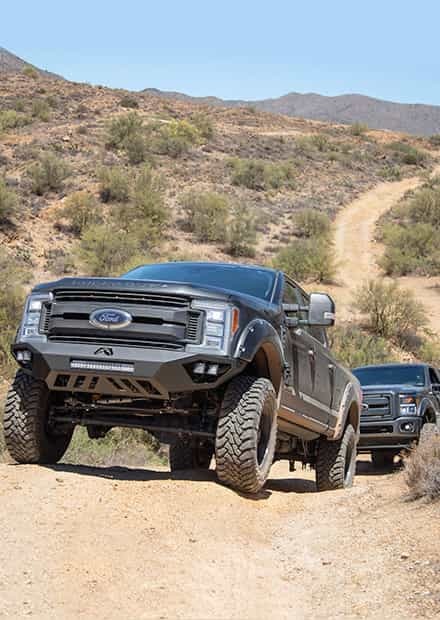 That's one of the big reasons that Rightline Gear developed their awesome Truck Tent System that instantly transforms your F150 or Super Duty into an all-in-one campsite. 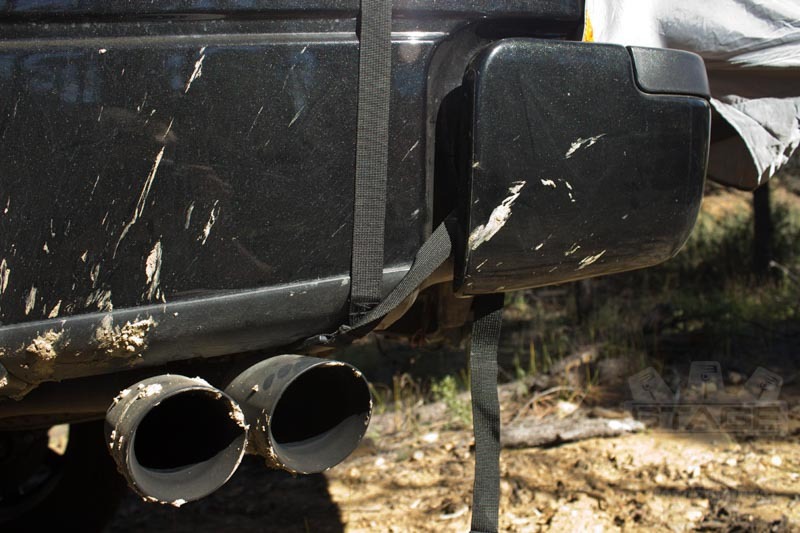 Your F150's or Super Duty's bed is off the ground and typically dry, which makes it a perfect campsite. 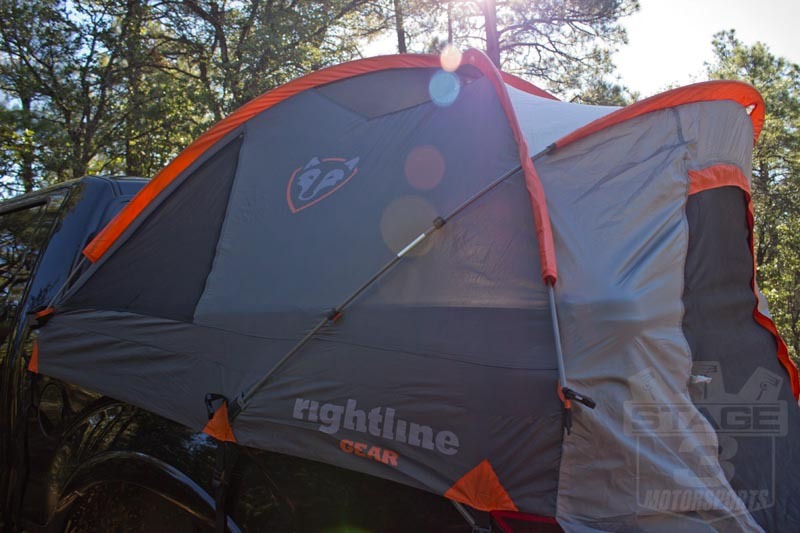 All you need is a roof, and Rightline Gear Supplies that and much more with their Truck Bed Tent System. 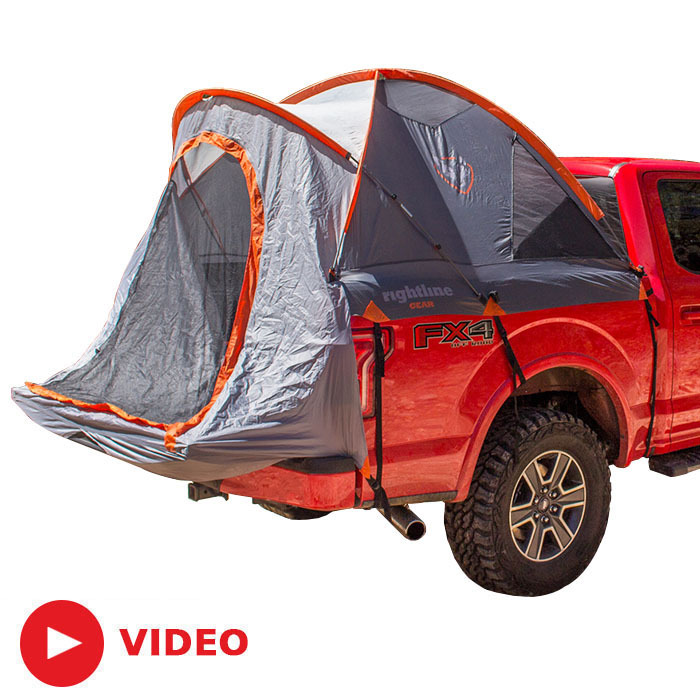 The Bed Tent uses a series of easy to setup straps and pole mounts that allow you to quickly and effectively transform your Super Duty's or F150's bed into a complete campsite in only a few minutes. 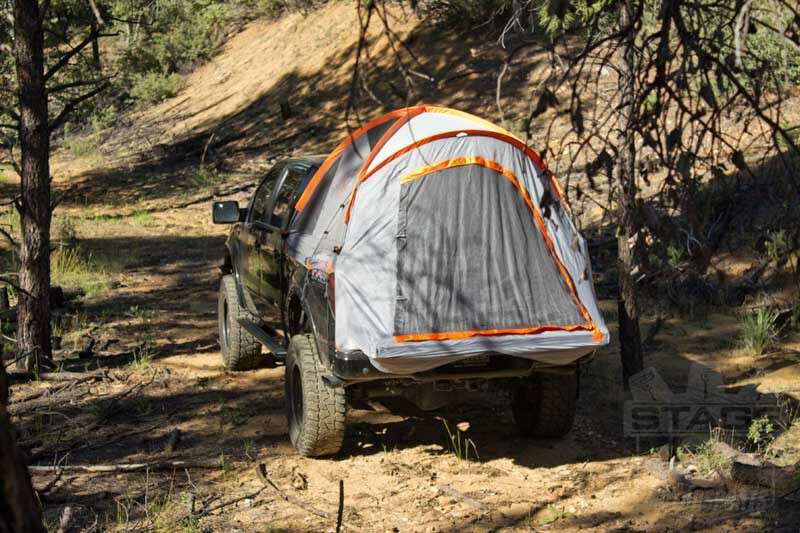 Best of all, the Bed Tent does not feature a floor, allowing you to utilize interior bed storage or other bed accessories for all your camping needs. 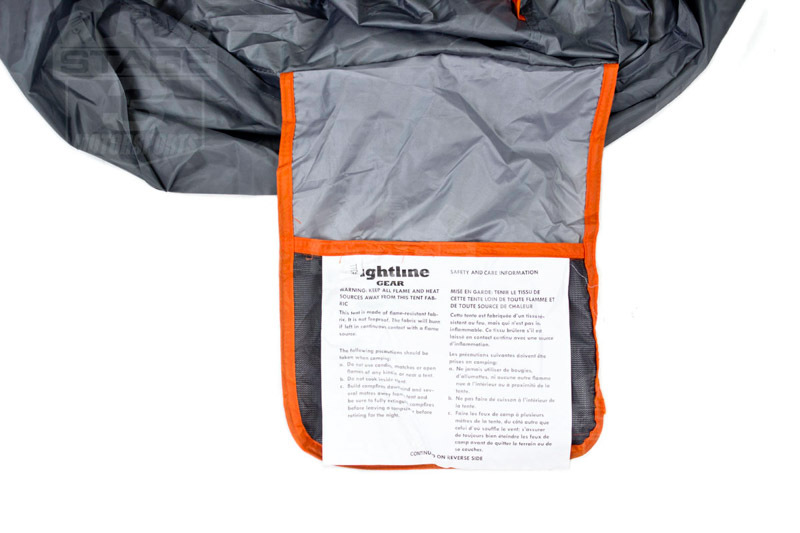 The Bed Tent also features its own storage pouches, lantern hook, and a sky view vent that can be covered with a rainfly in case the weather goes south. 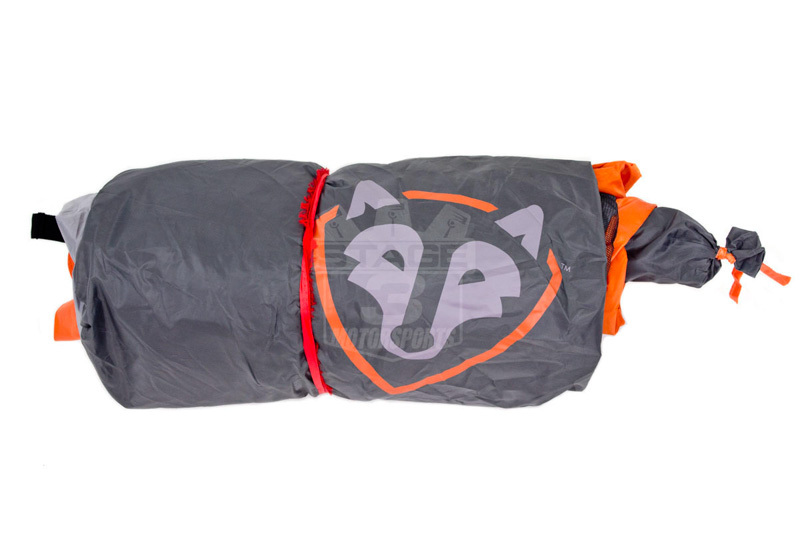 Each of the Rightline Bed Tents are a total camping solution that help keep you protected and dry no matter the conditions you find out in the wilds. 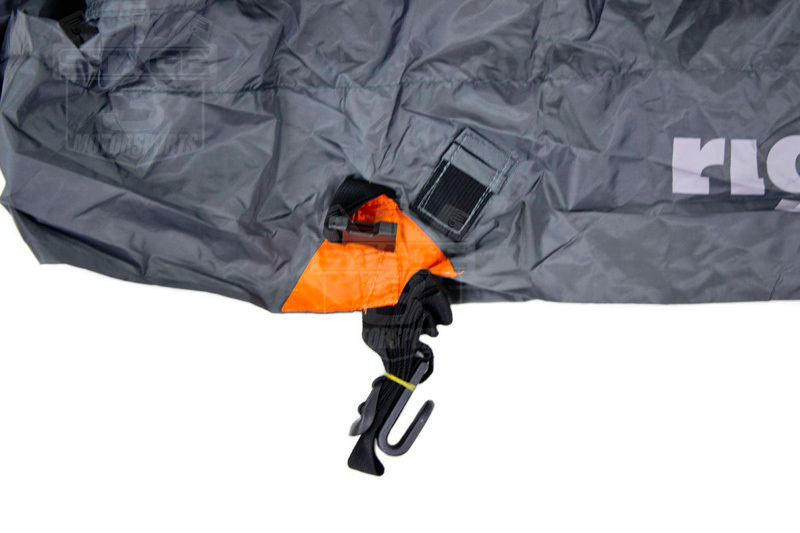 The tent itself is made out of water-resistant fabric with tape-sealed seams that keep you dry in clean in even extremely heavy downpours. 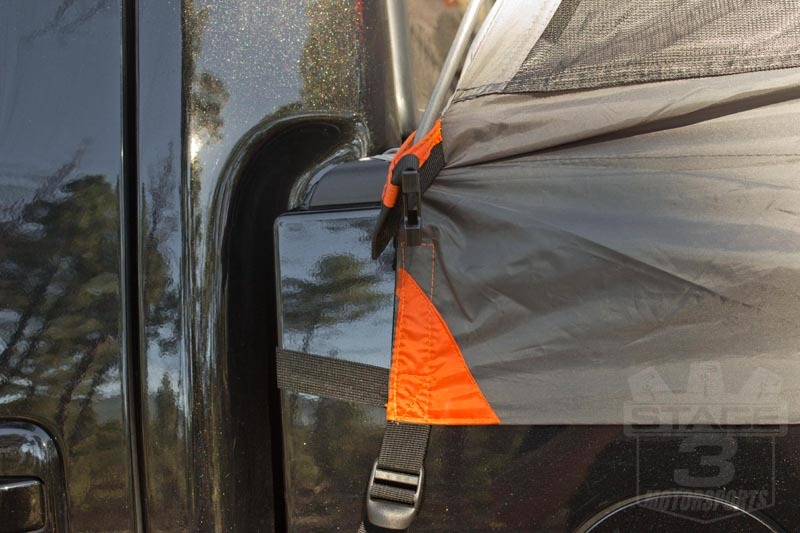 The tent features a sewn-in setup guide, color-coded poles, and heavy-duty straps and ties that make getting the tent system up and running an absolute breeze without damaging your Super Duty's or F150's paint or finish. 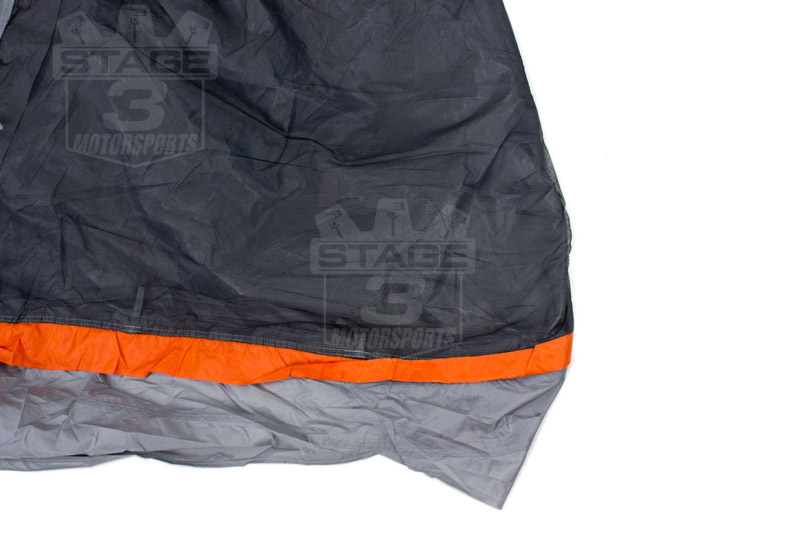 The tent comes standard with glow-in-the-dark zipper pulls and even its own compact storage sack that allows you to keep it just about anywhere. 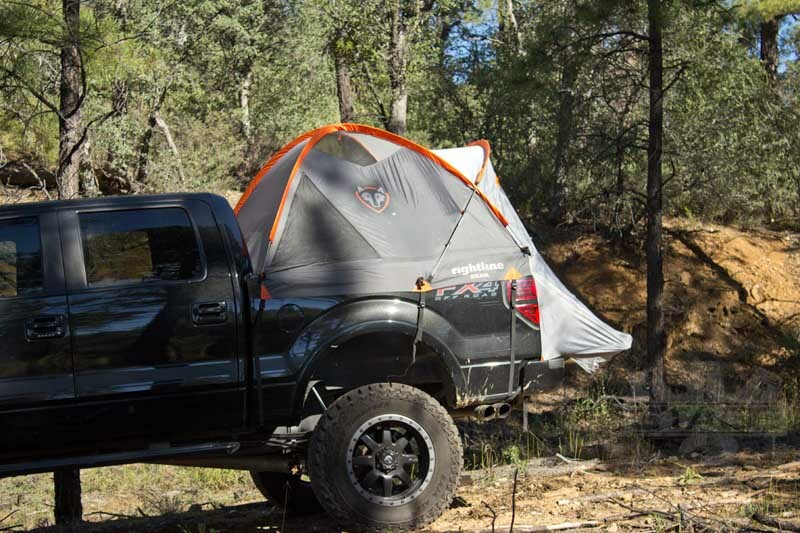 The Rightline Bed Tent is extremely easy to setup and can transform your Super Duty's or F150's bed into a complete campsite in only a few minutes. 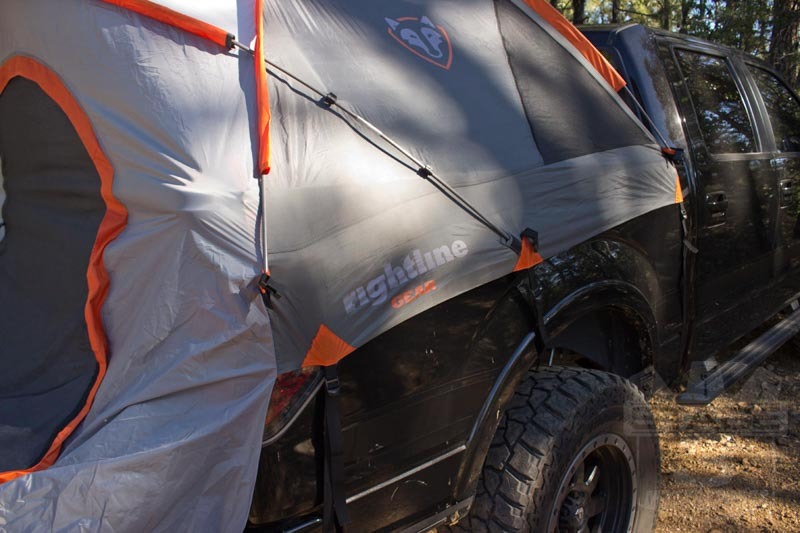 For 6.5ft Beds Only: this version of the Rightline Truck Bed Tent will only fit F150s or Super Dutys with a 6.5ft bed. Versions for 5.5ft beds and 8ft beds are also available. 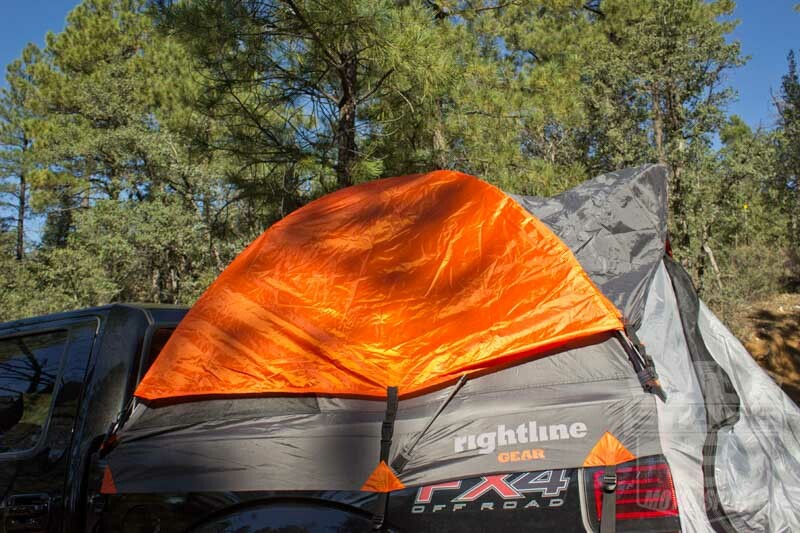 My 9-year-old daughter and I went camping this last weekend at Bartlett Lake, AZ and tried out our new Rightline Gear Truck Bed Tent. Since our tent sets up in the bed of our F150, most of our gear was already in the bed of our truck, so setting up our camp sight was a lot easier than normal where I've had to lug stuff back and forth and then set up the tents. We had our cooler and other necessities nearby and it made things very convenient for break-down the next day as well. 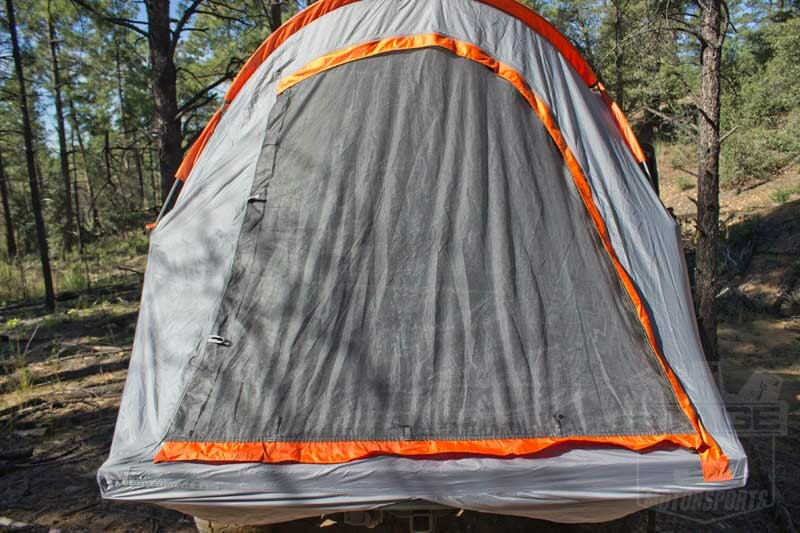 The tent was easy to set up and surprisingly well insulated at night during 40-45 degree overnight temps. Together with our Bedrug Bedliner and a couple air mattresses, we were super comfortable all night. It felt a lot more secure and safe being up off the ground too. We can't wait to go again soon! 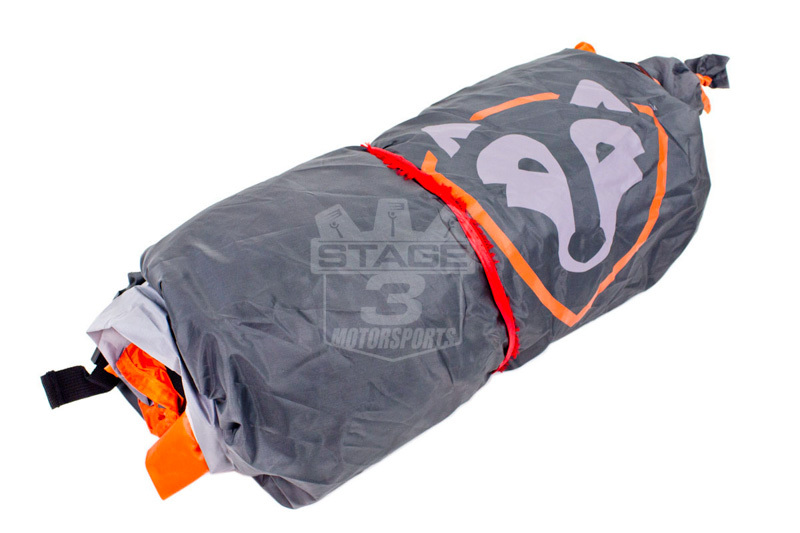 After spending countless hours researching different brands of truck tents (each having their own sets of pros and cons), I just ended up pulling the trigger on this one due to its low price and excellent Stage 3 customer service. I had a camping trip planned and this thing arrived on my door step literally the day before my departure thanks to Stage 3's super fast processing and shipping methods. I couldn't be any happier with the purchase and decision. The tent went up in 15 minutes and broke down in a little less (2-person set up team was used). 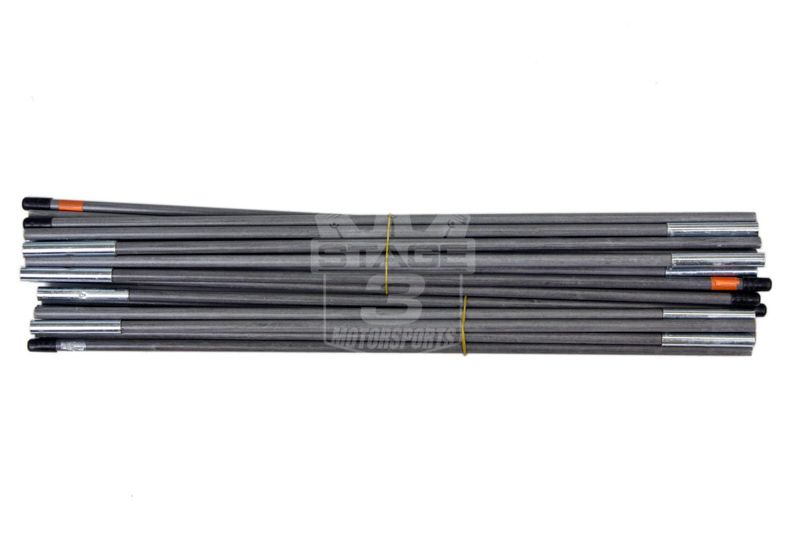 Poles are color-coded to avoid confusion and appears very durable. 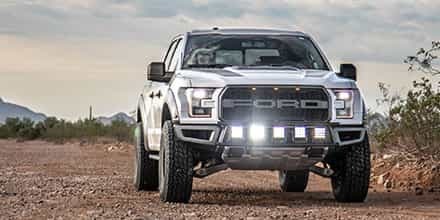 The only thing this one doesn't have is the access panel in the front that allows access to the passenger cabin of the truck (nice for cooling in the summer or access to the trucks electronics). All in all, NO REGRETS! Looking forward to the next coming trip before the summer heat kicks in. I have a retrax roll away tonneau cover. 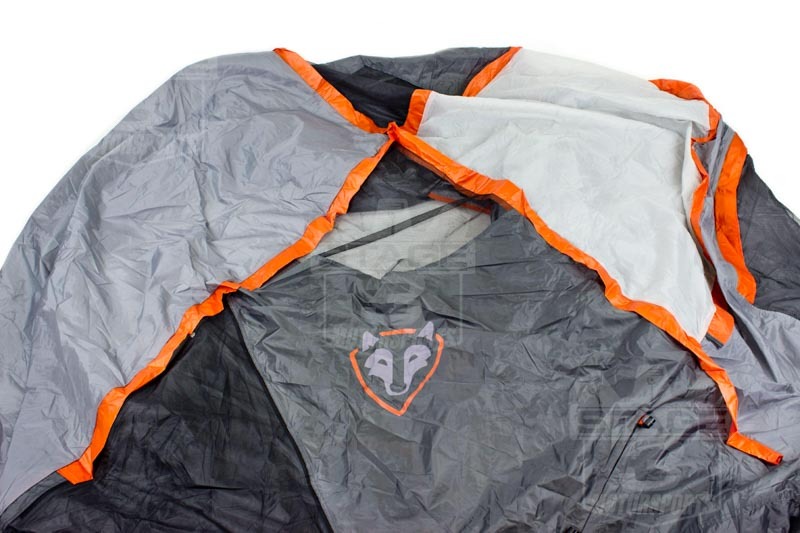 Will this tent still work with the roll away storage box on it? 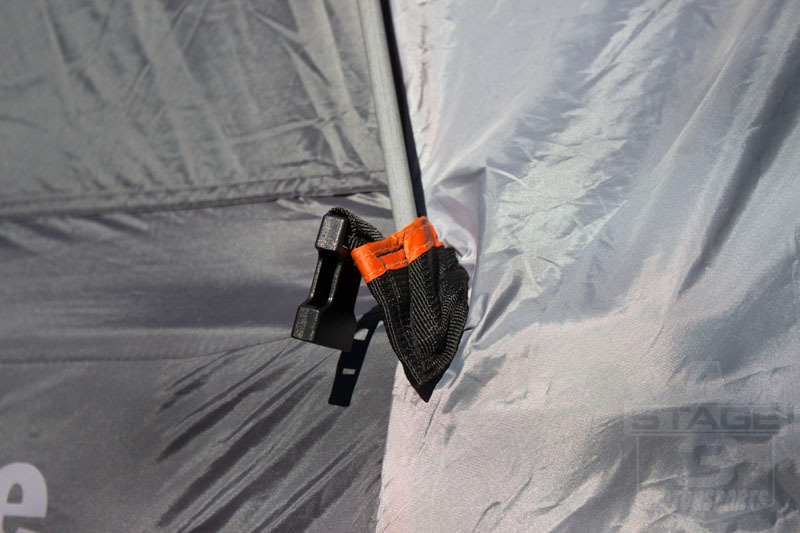 I highly doubt it would work, given that the tent's poles need to be placed right where the Retrax storage box would protrude. 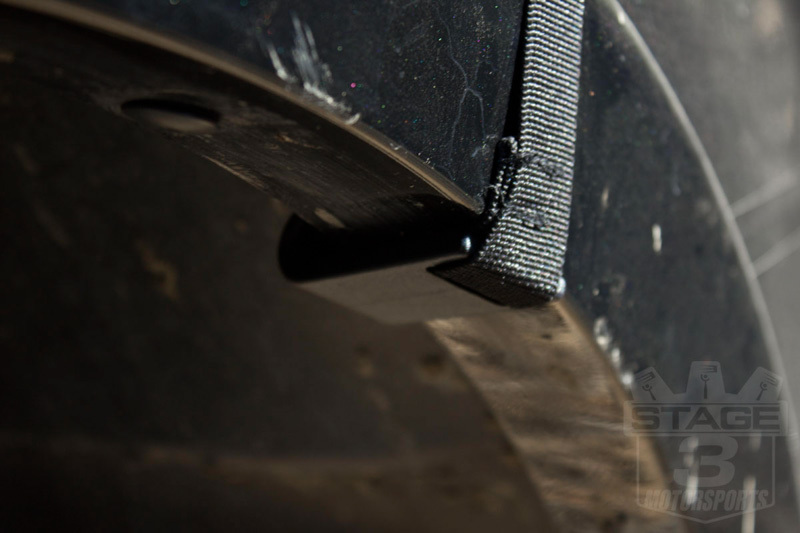 Will this work if I have a Tonneau cover that rolls up? 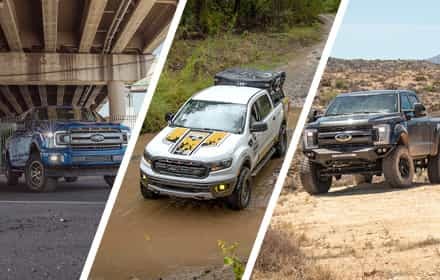 That's largely going to depend on what vehicle you're putting it on and whether the tonneau cover is a fairly basic soft roll-up tonneau, or if it's a hard roll-up tonneau that has a large storage unit and retracting mechanism. 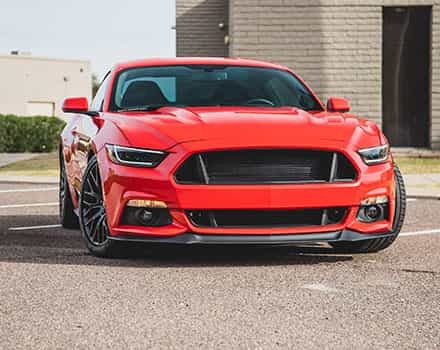 In general, the tent will fit with most soft roll-up tonneau covers, and tonneau systems that protrude too much from the are near your cab or your bedsides. 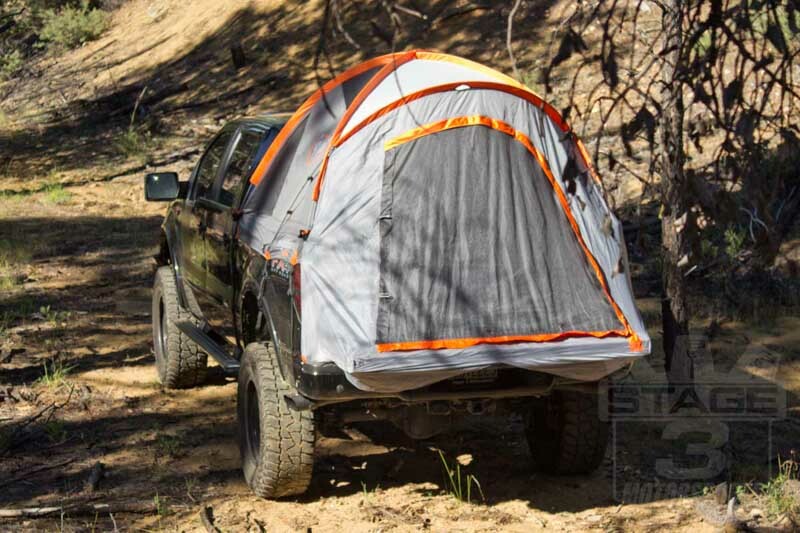 Will this tent work with step side trucks? 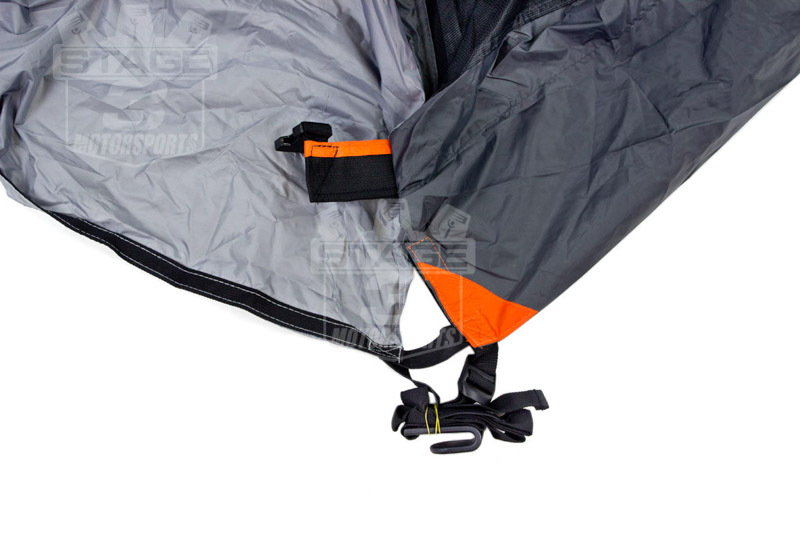 The bed tents will work with flareside and step-side trucks, as long as you choose the correct bed length. 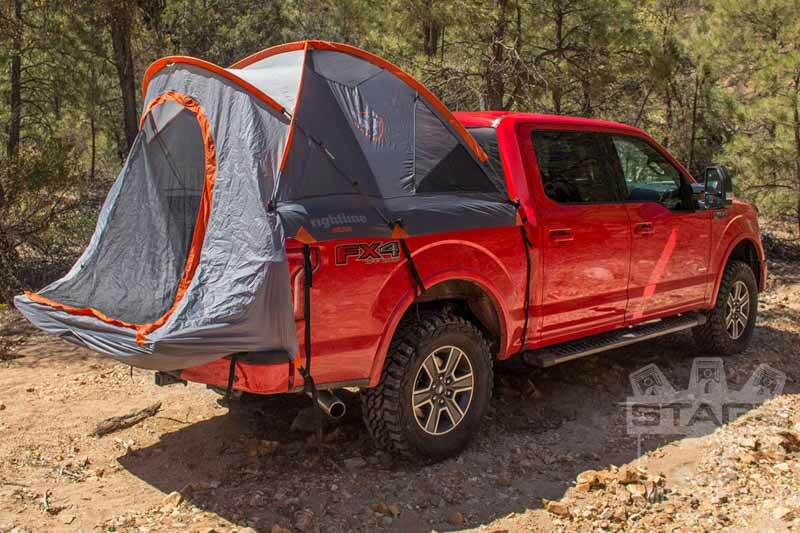 If you have a flush mount tool box in the bed of your truck, can or will this tent still mount properly or does the tool box need to come out? 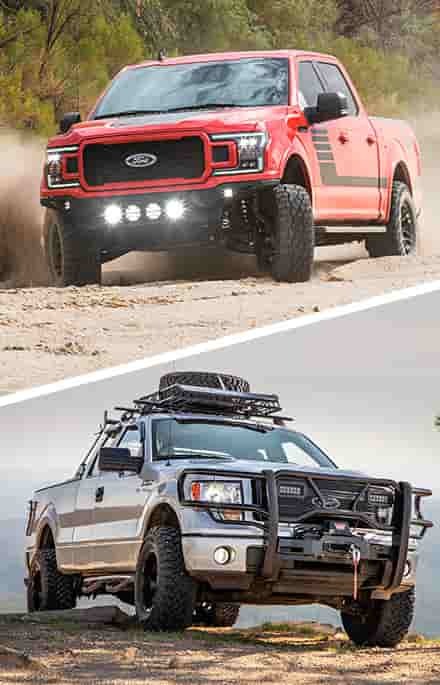 If the tool box is entirely contained within the bed rails and doesn't protrude over the sides, then you would likely be fine leaving it in the truck. 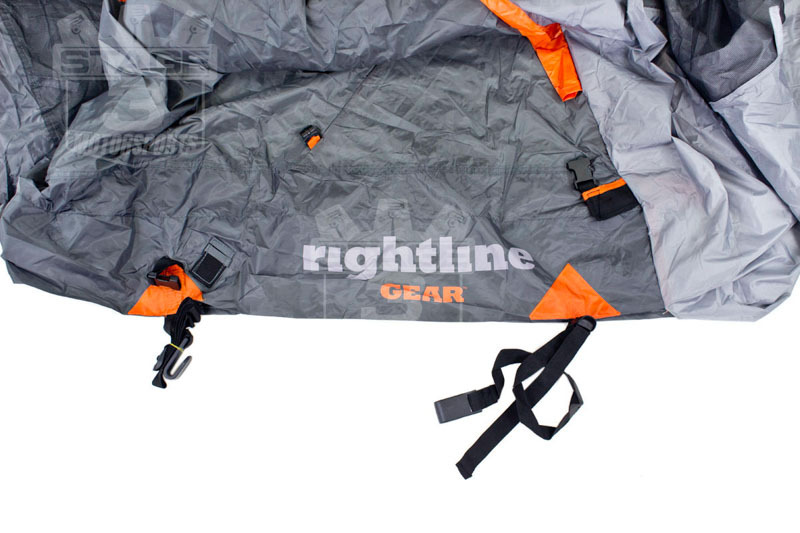 However, I can't strictly guarantee a perfect fit for the Rightline tent with any aftermarket tool box. 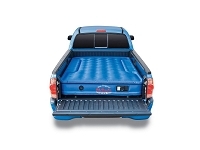 will this work if you have a retractable bed cover on? The type of bed cover that rolls in and out, not the lifting type. 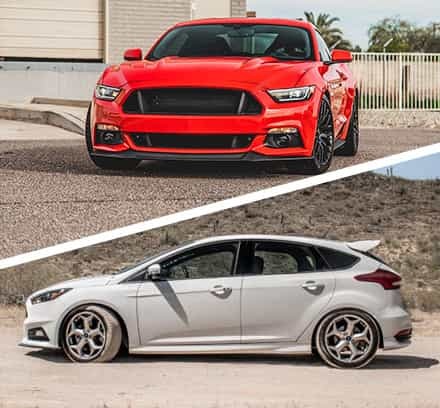 That really depends on the specific model of tonneau cover. 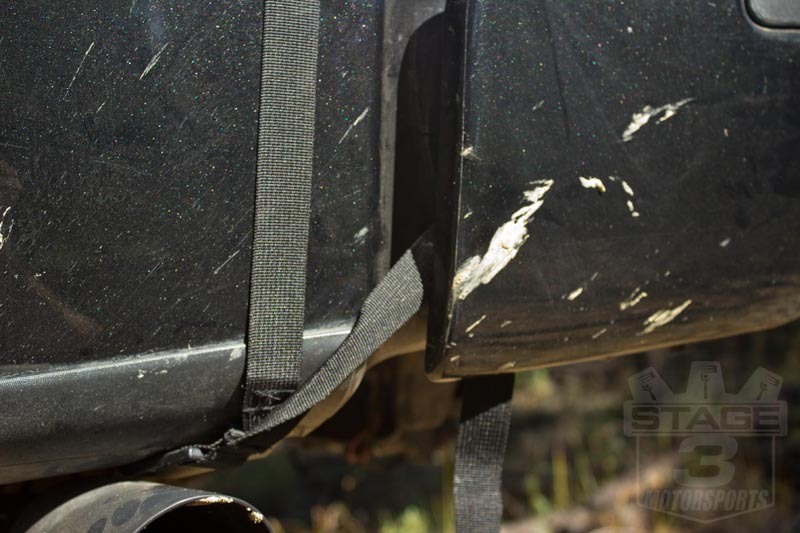 If it's a fairly basic soft roll-up tonneau cover, then you probably won't have any issues. 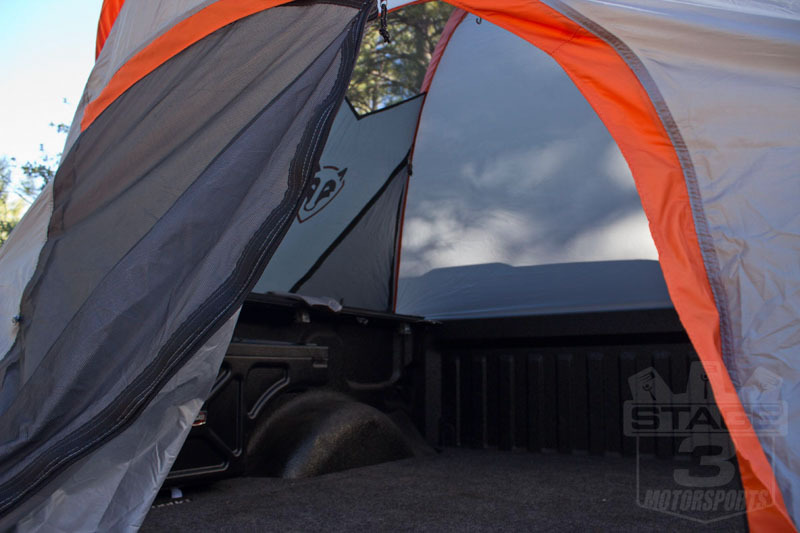 If it's a more complex powered roll-up tonneau or one that requires a large storage area, then the bed tent may not fit. 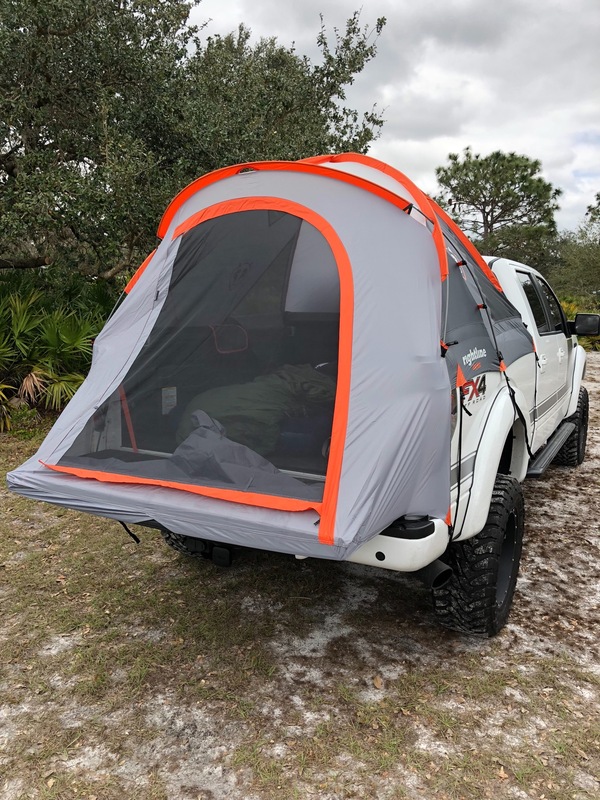 Will this tent work on a bed that has a Bakflip tonneau cover that flips forward to the cab without having to remove it? 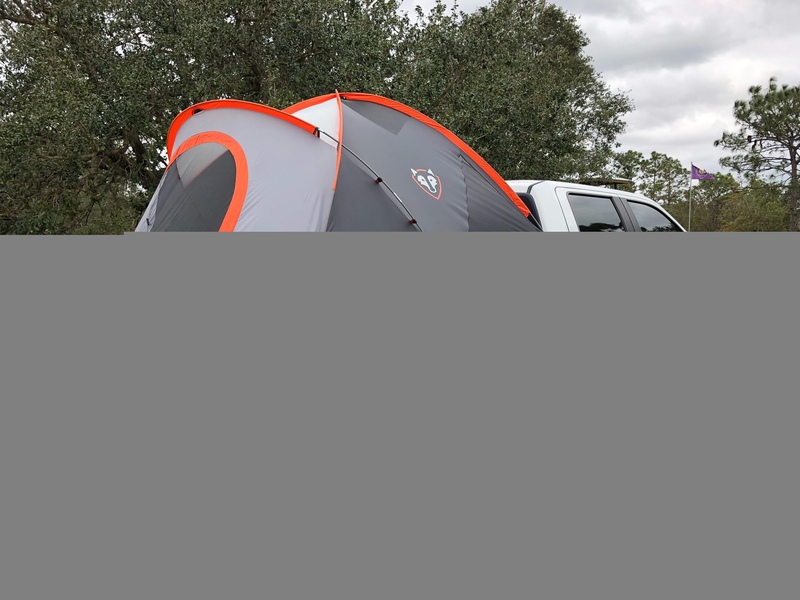 This tent will fit with a BAK folding tonneau cover, though you will need to set the tent up so that the folded section is inside the tent for proper weatherproofing, which does eat up some of your room.